There are plenty of good reasons for window replacement. For one, new uPVC or PVC windows can enhance your home’s aesthetic appeal and value as well as save you money in energy costs. There are plenty of good reasons for window replacement. For one, new uPVC or PVC windows can enhance your home’s aesthetic appeal and value as well as save you money in energy costs. Whether you need stylish windows for a new home or are replacing current ones, it is important to know which ones will give you the best returns. We have provided an overview of your choices below. For expert help with evaluating your options, please ask about an in-home consultation. While our vertical sliding sash windows are designed to perfectly complement period properties and replace draughty timber windows in conservation properties and projects, in reality it will add a touch of class to any home. Our shaped window range allows for a combination of opening sashes and fixed panes, manufactured to your exact requirements. A very popular style commonly used in high-rise homes and buildings, our fully reversible window can be turned completely inside out without intruding into the interior of a room. To protect your home and stay within your budget, make sure you have the best quality windows. At Home Design Group, first-class products and installation service are the cornerstone of our business. Our experienced window fitters ensure proper sizing and workmanship, thus, minimising common operational issues and enhancing the lifespan of your windows. 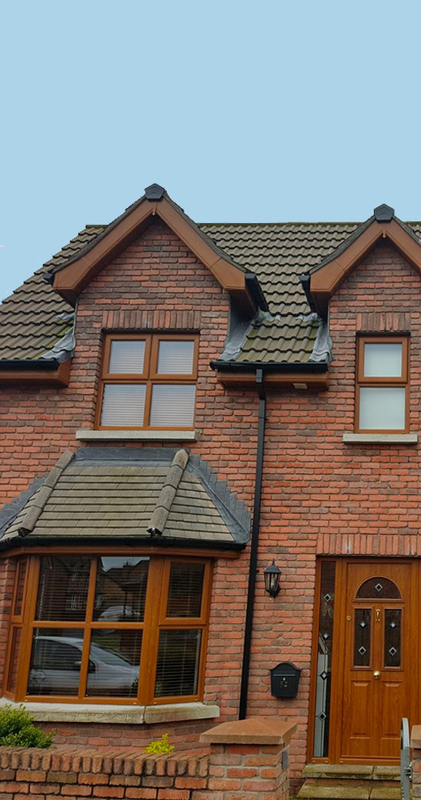 Selecting new or replacement windows seems like a daunting task for many Belfast home owners. After all, there are so many different styles and materials to choose from. Knowing what to look out for will help you make an informed buying decision. •	Shaped windows: Round, gothic, asymmetrical; the possibilities are endless. Manufactured to your specific requirements, these windows are decorative additions to any home and allow for a combination of opening sashes and fixed panes. •	Fully-reversible windows: Ideal for locations with external access issues like high-rise buildings and multi-storey homes, they operate on a swivel system and can be turned completely inside out for easy cleaning. Slick, clean lines offer a stylish look while allowing you to maximise the available space. They are available in a range of colours and security features to suit your home. •	Vertical sliding sash windows: Often referred to as a ‘Georgian’ window, this style is a cost-effective, long-lasting window replacement solution for vintage properties and conservation projects. Comprising of strong PVC window frames, excellent thermal insulation and superior weather resistance, they retain their neat and clean appearance for years. Draughty timber windows are easily replaced and will add a touch of class to your well-aged home. •	Tilt and turn windows: These elegant windows combine the best features of casement, fixed and tilting designs. A fantastic choice for any room in the main and upper storeys of your home, they offer simple lever operation and easy cleaning. Our precision-manufactured line has slim, sculptured curves which closely resemble the sightlines of timber but not its disadvantages. •	Casement windows: This popular style offers unobstructed views with a more contemporary and modern look. Our expertly-crafted range with slim sculptured curves allows for a combination of opening sashes and fixed panes and is manufactured to your exact specifications. Love my new windows and doors. The home design group done an amazing job ?